Loneliness is a growing epidemic in Canada. Over a million seniors say they're lonely. But more and more seniors are co-housing to solve the problem. "OK, Mary. You're going to make four cups of chicken broth." Barb Coughlin, 71, is assigning kitchen duties for the day. "Phyllis, cut up the chicken. I'll chop some onions." There's a pre-Christmas luncheon to prepare, so the cooks are in high gear. But with all the chopping and slicing, there's a healthy dose of laughing. "They think this is a party house," said Coughlin, referring to friends who are a little envious of the three women's living arrangement. 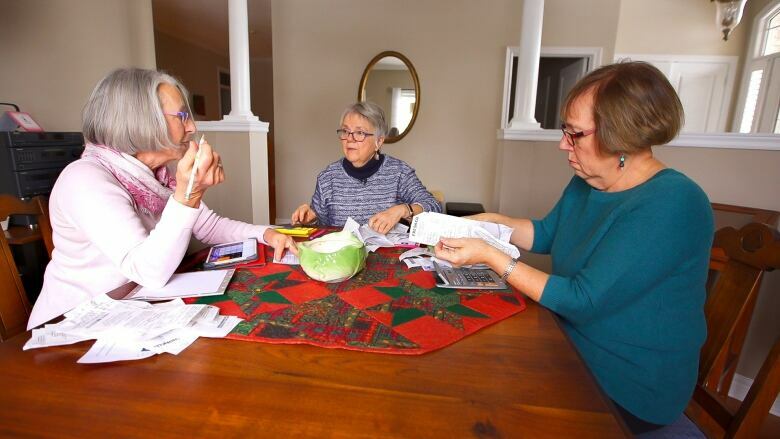 Earlier this year, Coughlin, Mary Townley, 71, and Phyllis Brady, 66 — all baby boomers and long-time friends — decided to shake up their housing arrangement. 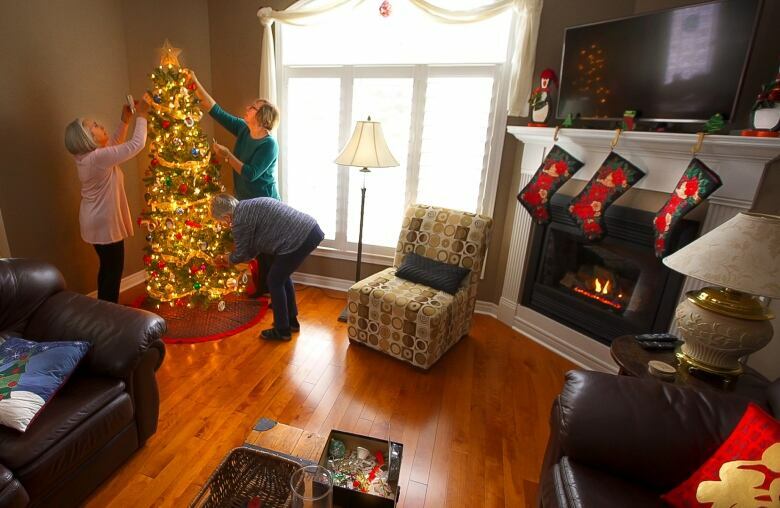 They sold their houses, did some serious purging of appliances and furniture, pooled their finances and, by the summer, moved into their new shared home in London, Ont. 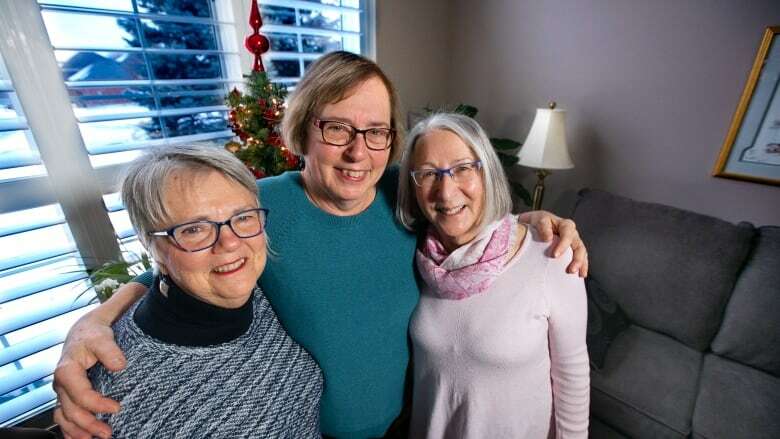 It's called co-housing, a movement that took off in the '70s in Denmark, and this kind of arrangement among seniors is a growing trend in Canada, whether it's people sharing one house or a larger apartment complex. 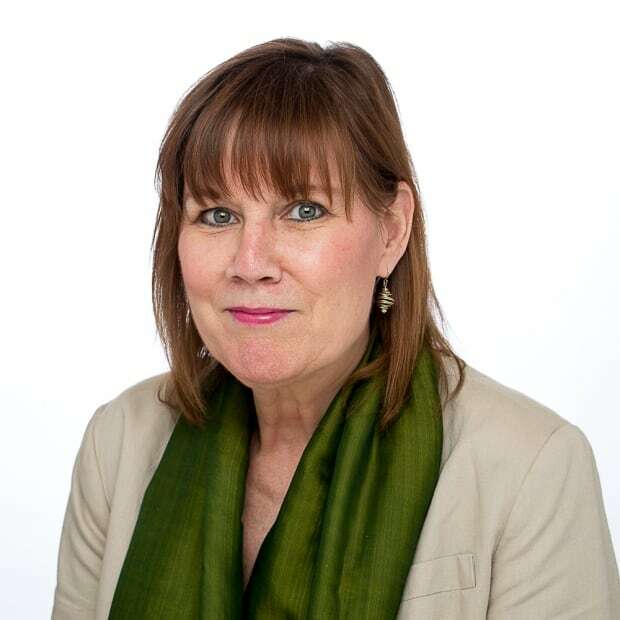 "It really is a beautiful model," said Adriana Shnall, an expert on aging at Baycrest Health Sciences in Toronto. "By living together people have a community. And especially people who lived in a family, a partner, children. You get older. You lose all those supports that are inherent to living with others." Brady, Coughlin and Townley had been living alone for the past decade or so. Two are widowed, one is divorced, and their kids are all grown up and gone. The idea of sharing a home, they said, came down to the need for companionship. "We didn't like living alone anymore. We didn't laugh very much," Coughlin said. Townley said, "I didn't mind being alone at times. But then there are those other times when you think, 'Oh, I wish I had someone to talk to.' Not over the phone. It's much nicer face-to-face, with a glass of wine, and just talk it through." Loneliness among older adults is a rising epidemic in Canada. Statistics Canada reports more than one million seniors say they're lonely. Being alone has profound health consequences too. It lowers cognitive function. It increases premature death as well as the risk of heart attack, stroke, depression and the risk of falls. That last point is an important one particularly for older adults. It's why the women made sure the house they bought had few stairs. They each have their own bedroom and bathroom and, because Brady is the youngest, she gets the so-called teenager's room in the finished basement. Close to the bar, they add. Co-housing also means they share the bills and the responsibilities of the house, like paying off the remainder of the cost for a new awning. But co-housing goes beyond practical financial arrangements, said Shnall. "It's cheaper to live with somebody else but it's also better for our physical health and for our mental health." Back in the kitchen, with the chicken stew almost done, the London roomies know living together will mean eating better and healthier. As for companionship, there's always someone around for a walk, a talk or just a simple hello. "I walk up the stairs, and my friends are here having their breakfast. Good morning, Phyllis. How are you? "said Brady. When asked if there are any regrets, it's a quick and unanimous, "No." "If we can be independent and be in this kind of situation for the next 20 years, that would be a great thing," said Brady.